Nigerian snack food manufacturers, Pacific Ring West Africa Ltd (PRWA) announced their first intercontinental shipment of Cassanovas cassava chips from Abuja to Germany. The shipment marks the first time that 100% Nigerian cultivated, processed and packaged cassava chips is exported from Nigeria to Europe. CEO of PRWA, Mr. Thomas Hirsch says value added products like Cassanovas will contribute to Nigeriaâ€™s agricultural economy and job creation. 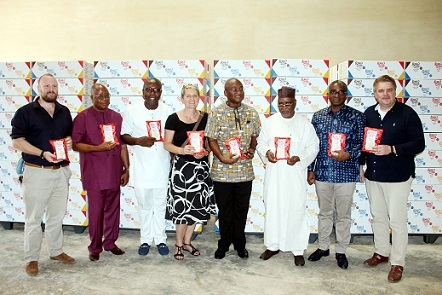 â€œIts entrance into the European market represents a transformative moment in global perception of the quality, taste and international appeal of Nigeriaâ€™s produce, I can only hope that this marks one step to the success of Nigerian brands internationally,â€ be added. â€œI hope we are able to scale up with the company and export more to different countries and make Made in Nigeria products globally acceptable,â€ he says. â€œNEPC works with small and medium scale industries, help to skill them, provide them with business advice and make available marketing opportunities for them, also, NEXIM and BOI are supporting to bring down the interest rate for loan collection, so companies can grow but on a condition that the company would generate income fast so the loan can circulate amongst everyone.